With 20 years of professional dental experience and advanced ongoing education, Dr. Abrams is the dental expert that you can rely on to give you the best advice and keep you in good health. With the philosophy that each individual patient is entitled to specialize, white-glove dental service, Dr. Abrams and his highly trained team will address your every need, whether it is a dental emergency, a complex procedure or even a routine cleaning. 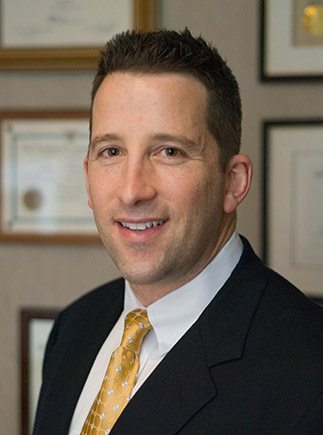 As Princeton, N.J.’s premiere concierge dentist, Dr. Abrams specializes in Family and Cosmetic Dentistry and his work in the field of Sleep Disorders and Dental Sleep Medicine have been nationally recognized and awarded. He is one of less than 200 Dentists in the US with advanced training and experience that are awarded Diplomat Status with The American Board of Dental Sleep Medicine. You can have the peace of mind knowing Dr. Abrams is looking out for your overall health and well-being. Member of the American Academy of Dental Sleep Medicine who also served on the Dental School Curriculum Committee. Holds Diplomat Status with The American Board of Dental Sleep Medicine. Other Dentists may be members or certified with the ABDSM but only a few hold diplomat status which requires a greater depth of experience. Currently, there are only 160 Diplomates in the US of the ABDSM. Whether it’s preventive treatments, routine cleanings, or any number of dental procedures, Dr. Abrams gentle approach to family dentistry will leave you and your loved ones smiling. Your smile is one of the first things people notice about you. Let Dr. Abrams bring out its true, vibrant potential, using the most advanced cosmetic dentistry techniques on the market. You deserve a restful sleep—don’t let snoring or sleep apnea ruin it for you! Dr. Abrams is a certified and renowned expert in dental sleep medicine.